Plant writings, gardening thoughts & observations of Paul Hervey - Brookes, Award Winning Garden Designer & Plantsman. The Chelsea Flower Show was rather an amazing experience by any standard. I was very lucky to be next door to some lovely people whilst creating the Biodiversity Garden for Bradstone which was awarded a Silver Medal. The garden set about highlighting biodiversity issues whilst being a beautiful place to escape into from our modern busy lives. Luckily for me this combination and some what simple approach was in tune with two lovely gardening television presenters from Australia and Austria who decided to do lengthly pieces on biodiversity from the garden. 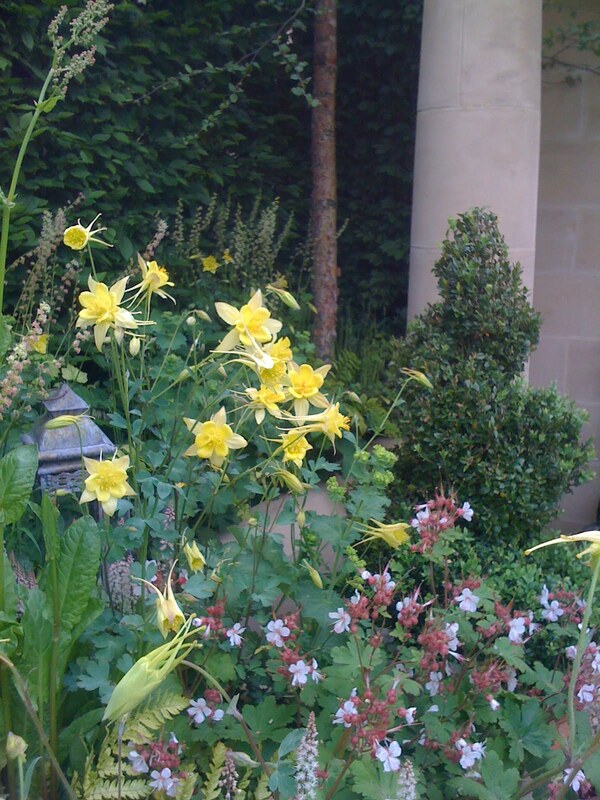 The garden highlighted simple nectar rich flowers planted in shades of purples and yellows. These colours are, through our eyes, particularly attractive to bees and pollinating insects according to research carried out at Universities. The planting was also multi-layered as we know that different layers are in habited by different insect life. Towards the rear of the garden larger foliage plants created dappled shade for small mammals and a Hornbeam hedge acted as the wildlife alternative to the motorway as a green corrider connecting the urban space back out to the countryside. 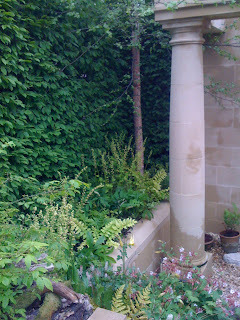 The garden also had decomposing log walls for stag-horn beetle and I designed the classically inspired portico which was bespoke made by Bradstone to encourage crevice nesting birds such as House Sparrow which has declined in numbers by over 70% in the last 20 years. These messages were endorsed by the Wildlife Trust and Trees for Cities, two charities who are passionate about wildlife and the importance of urban greening. One of the really important aspects of the garden for me was that it be beautiful. In order that people looking at the garden were to go home and recreate some of the habitat spaces we were talking about I felt strongly that people would need to feel it was something they could live with and then almost by default the important messages would become second nature. I really hope that idea worked and I would like to say thank you to all the well wishers and people who took the time to stop and be so lovely and encouraging throughout the show. The Chelsea Flower Show also marked the end of my time as Chris Beardshaw Scholar and I hope that Maria-louisa really embraces the opportunity and runs with it. My year has been challenging, exciting and went very fast and I am intensely proud of it. 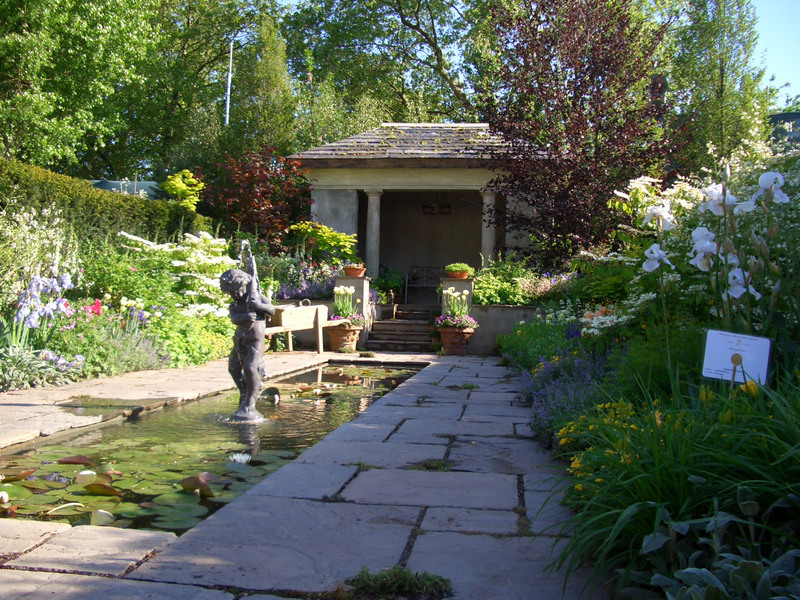 It is one of two very important mile stones in my horticultural life so far and the other caught up with me in the most unexpected way at Chelsea this year when I met George Anderson, former Head of Horticulture at the Royal Botanic Garden Edinburgh. It was a sheer delight to be able to talk to him again, tell him what I have been up to these past years and simply listen to snippets of his incredible plant knowledge. Now lastly I started writing this blog as a diary of my year as Scholar, it has actually turned into something very different, a diary of plant based thoughts, but now my year is over and my work load has increased so dramatically I think its a good time to call time on it. 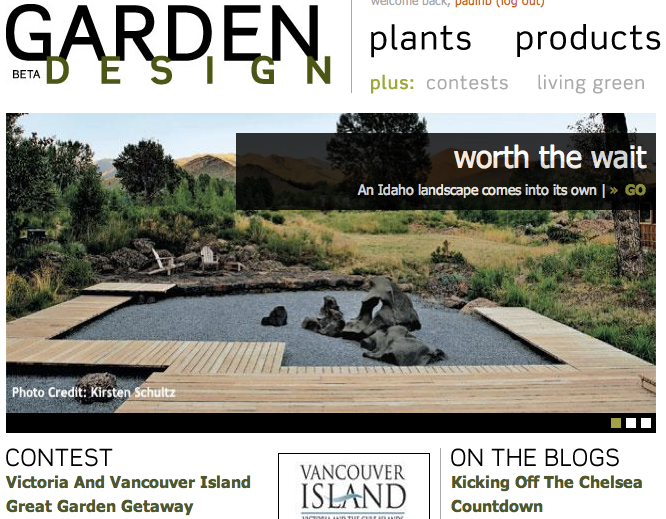 I will still be writing for Garden Design USA as a guest contributor as well as a few other publications. So thank you for following the journey, I hope it was an enjoyable read I have certainly enjoyed writing it. Best wishes Paul. (Photo: Wormcast Garden, Chris Beardshaw) Well at last the day has come. After spending a great deal of last night packing, after a very fun afternoon with the children who are creating a show garden based on Renoir's Umbrella's at Painswick Rococo Garden, everything is packed, wrapped and labelled stretching down the drive ready to go to Chelsea Flower Show. Its been a bit hectic, Wednesday onwards I was a guest of the 3 Counties Agricultural Society at the Malvern Spring Gardening Show, where on Sunday I also was asked to do the afternoon slot in the Project Pavilion. This actually was huge fun talking to gardeners about their gardens, plants and design ideas. The afternoon was gone before I had even got comfortable in my 'experts' chair. The new Chris Beardshaw Mentoring Scholar was chosen on Press Day and I think Maria will make a fantastic Scholar and she has a truly unique and exceptional year ahead of her. I hope and I know she will seize the year really gaining from the guidance and creative stimulus it provides. Yesterday morning we spent a couple of happy hours wandering through a woodland on a private estate making our final selections of rotting timber for our decomposing wall and then the afternoon as I said with the children sowing seed and weaving willow. Lastly I would just like to say to anyone planning to visit the Chelsea Flower Show it will be a privilege to meet you and say hello outside of the electronic world. 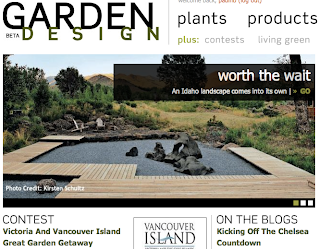 You may remember that a month ago I said a I would be writing a guest blog on the website of the one of America's most popular and informative garden design magazines, Garden Design. The people at Garden Design have recently had a total overhaul of their website making even more informative and it looks really fresh. My blogs can now be found under this link and I will adding more over the coming days to bring it up to date. There are some other really fun guest bloggers currently with lots of interesting ideas, along with galleries of mouth watering gardens from across the world. One of springs 'love it or hate it' vegetables which is in season now is Rhubarb. Dreadfully sour or deliciously sharp depending on your taste buds there is no denying its return to favour over recent years. 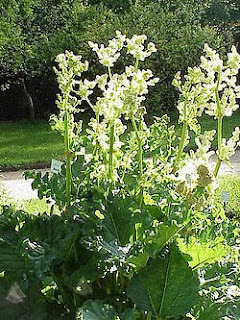 Traditional culinary Rhubarb is a hybrid cross classified by the Royal Horticulutural Society as Rheum x hybridum, but one of its parents is Rheum rhabarbarum. In England and similar cooler climates Rhubard is forced from early spring to produce sweet pale shoots before being left to grow naturally for the rest of the growing season but interestingly the same plant will produce good edible shoots all year round in warmer climates. 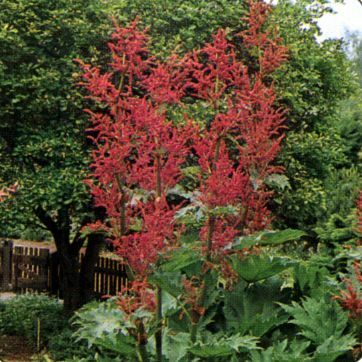 (Photo: Rheum officinale) In China Rhubarb has been grown for 1000’s of years as a traditional form of medicine and was written about as early as 2700BC in The Divine Farmer’s Herb-Root compiled by the Emperor Yan. Its roots are rich in anthraquinones a strong laxative being used for well over 5000 years and it also has an astringent effect on the mucous membranes. For this reason Rhubarb has occasionally found itself fashionable as a slimming agent. Rhubarb also naturally occurs along the banks of the river Volga but it is technically a separate species and known as Russian Rhubarb. 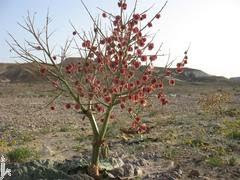 During the Mediaeval period Rhubarb was so expensive to transport from these far flung places to Europe that it cost several times that of cinnamon, saffron and opium and it was in the Tangut Province of China that Marco Polo, rather excitedly found it being farmed on the mountainous hillsides. Rhubarb was first introduced to the United Sates in the 1820’s first arriving in Maine and Massachusetts before traveling with early settlers across the country. In England Rhubarb was first grown in the 17th century with the advent of cheap sugar to improve its sharp taste and was most popular in the interwar years. (Photo: Rheum palaestinum) The name Rhubarb is derived from the Greek for the Volga, rha and barbarum. As a genus it belongs to the Polygonacea family which includes Rumex, Muehlenbeckia and Persicaria. Within the Rhubarb clan there are some stunning showy plants which given a large herbaceous border make a fantasic addition, Rheum Palmatum has a number of garden worthy selections, but outside of some of the most unusual species plants Rheum palmatum var. tanguticum with its deeply cut rich red leaves which age green and its huge plumes of blood red flowering bracts would be my plant of choice. Although thought of as an ornamental we grow this one to eat first and become decorative later in the year, finding its stems naturally a little sweeter then the better known culinary Rhubarb. 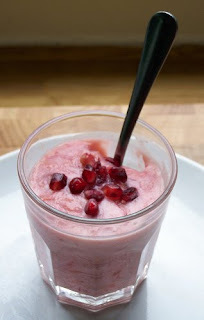 (Photo: Our Rhubarb Fool) If I have made you slightly curious about Rhubarb and you want to try it another way than crumbled to death this really is a lovely Rhubarb Fool Recipe, which we made today.